I've been inspired by my wife's beautiful sketches, and the lovely comic, Cats Are Weird, by Jeffrey Brown. 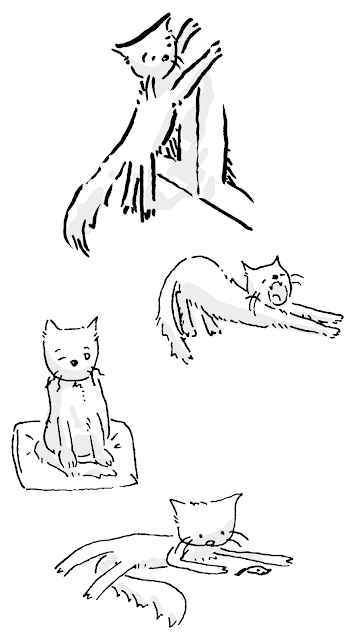 I'm going to draw some cats. Too late! I did it already!